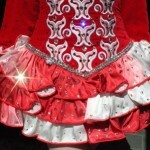 Dress will be at E.Bay Pre-O Feis. 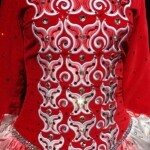 Vibrant true red Gavin Doherty dress worn by 13 year old prelim champ dancer. Never altered and in very good condition. 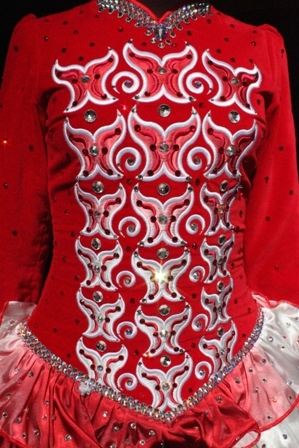 Sparkles with hundreds of AB, clear and red crystals. 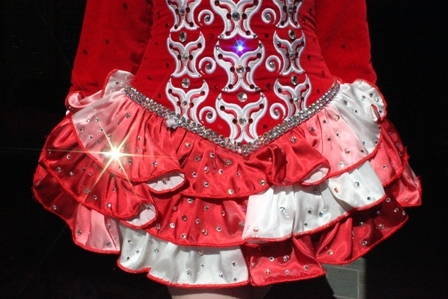 Much loved but sadly outgrown (dancer is 5′3). Comes from smoke free home. Bloomers and headband included. Will ship worldwide at buyer’s expense. Please contact me for additional questions or photos. Asking Price: $US799. Shipping costs are not included in the asking price. Returns are negotiable.